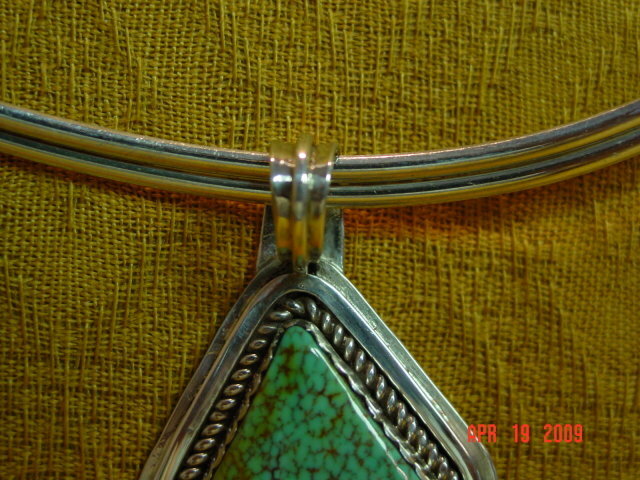 Beautiful triangular turquoise and sterling silver pendant signed "M" in a script style on the back. 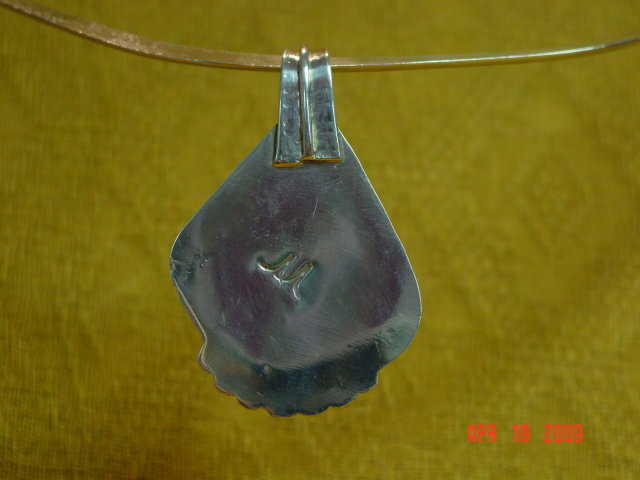 I am unaware who this artist is, although I am informed he designed this piece about 3-5 years ago. 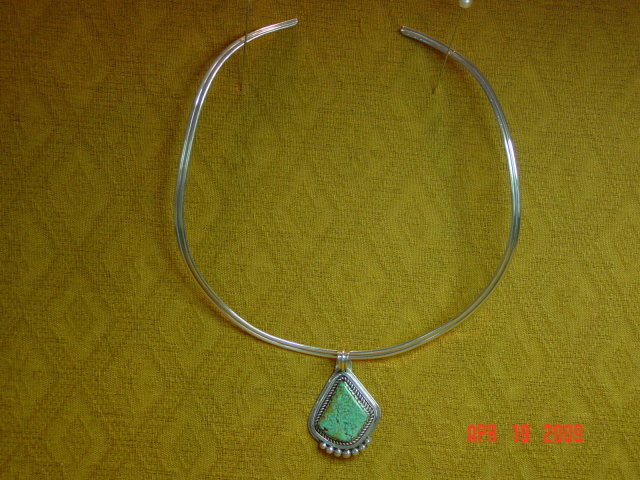 A molded silver choker necklace is included. Excellent condition. 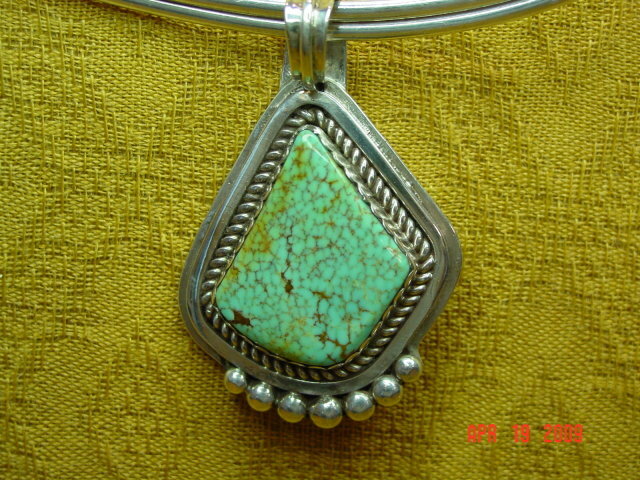 Items Similar To "Signed Sterling Silver & Turquoise Pendant & Molded Choker Neckla..."